Oh God, open our hearts now and renew us in the spirit of St. John XXIII. Take away our fear of this modern world, as Pope John urged us to do. Help us befriend all women and men as our sisters and brothers. Guide us to be true partners with others in our modern times so that science, technology, and medicine may better serve your purpose and heal your people. Take away all that divides us, as Pope John taught us. May all religions and cultures come together as one people, your people, O God of the nations. Guide us to understand more fully what the gospel demands of us here today, and help us be faithful to your law of love. Take away our judgments and condemnations of others, as Pope John showed us by example. Give us hearts filled with tender love for the poor, the vulnerable, and the rejected. Guide us to open our wallets as well as our hearts and share wisely all the produce of the earth so that no one will starve or suffer because of need. 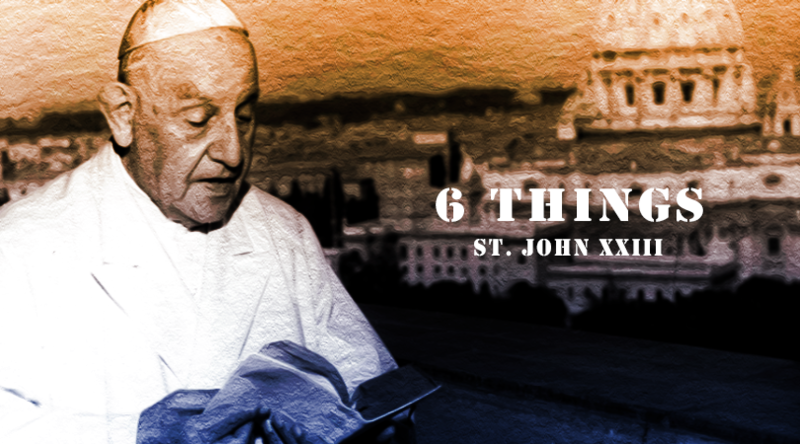 The idea for this blog came from a book I read, “The Spiritual Wisdom of St. John XXIII” by Bill Huebsch. I picked it up because I wanted to learn more about St. Pope John XXIII and read some of his writings. I recommend this quick read if you are interested.